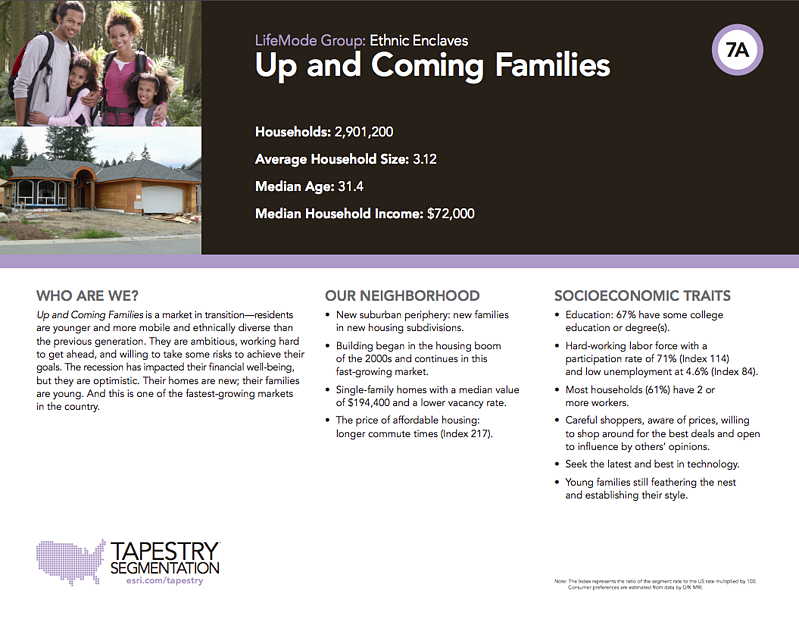 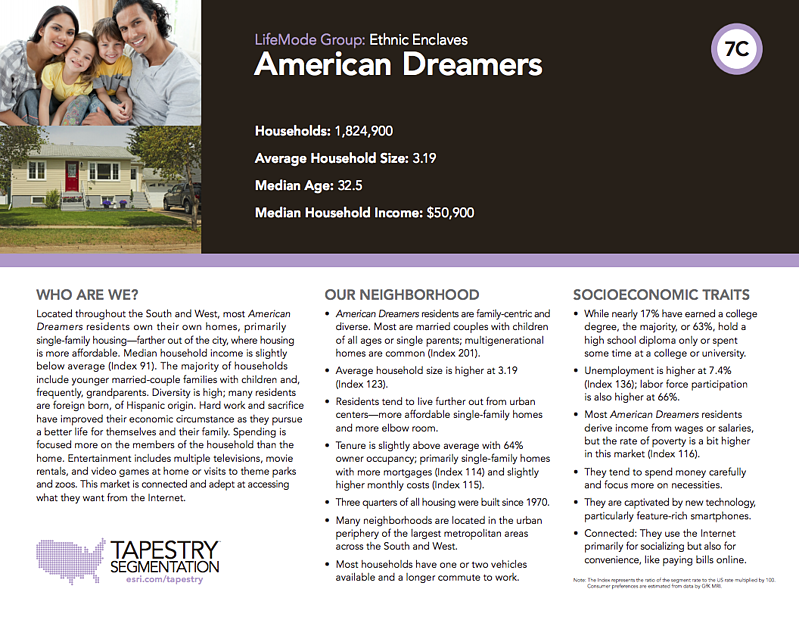 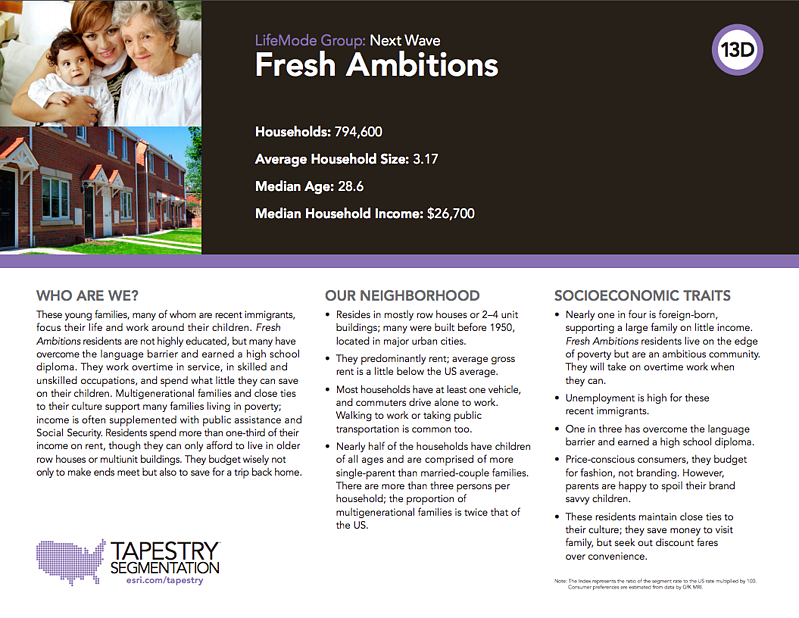 The Ethnic Enclaves Lifemode is made up of six Tapestry Segments: 7A - Up and Coming Families, 7B - Urban Villages, 7C - American Dreamers, 7D - Barrios Urbanos, 7E - Valley Growers, and 7F - Southwestern Families. 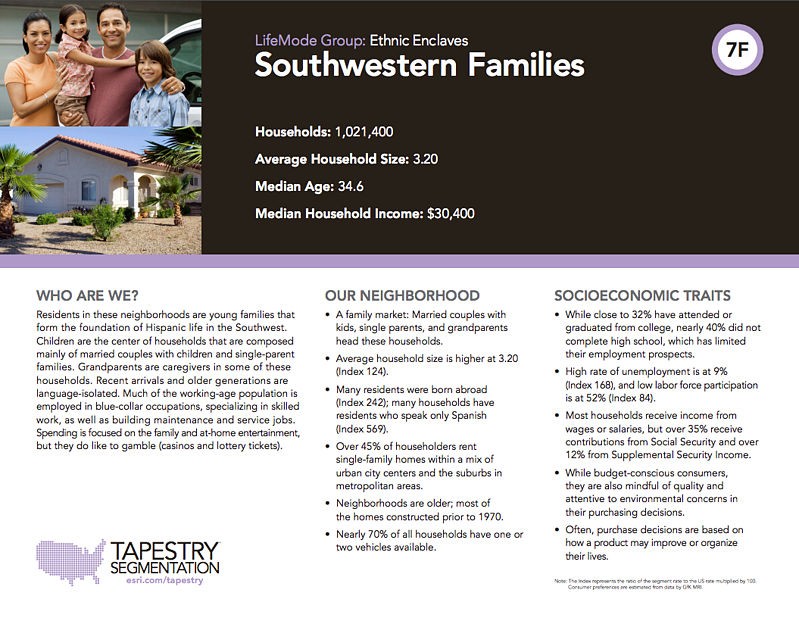 Households are generally 27-34 years old, live in single family houses, are primarily Hispanic (both Black and White), have a median HH income between $27,000-$65,000, and do not have a high school degree (Besides 7A which you will see below). 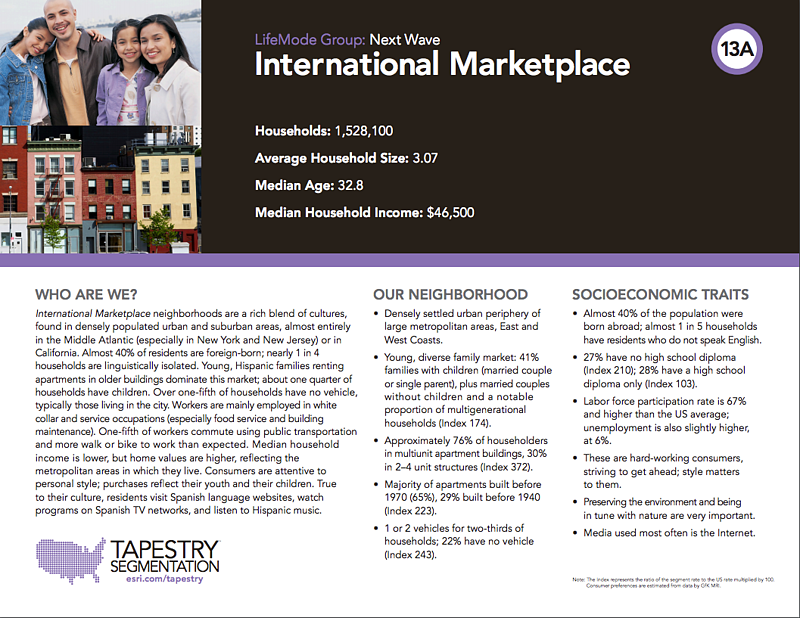 This Lifemode is made up of five Tapestry Segments: 13A - International Marketplace, 13B - Las Casas, 13C - NeWest Residents, 13D - Fresh Ambitions, and 13E - High Rise Renters. 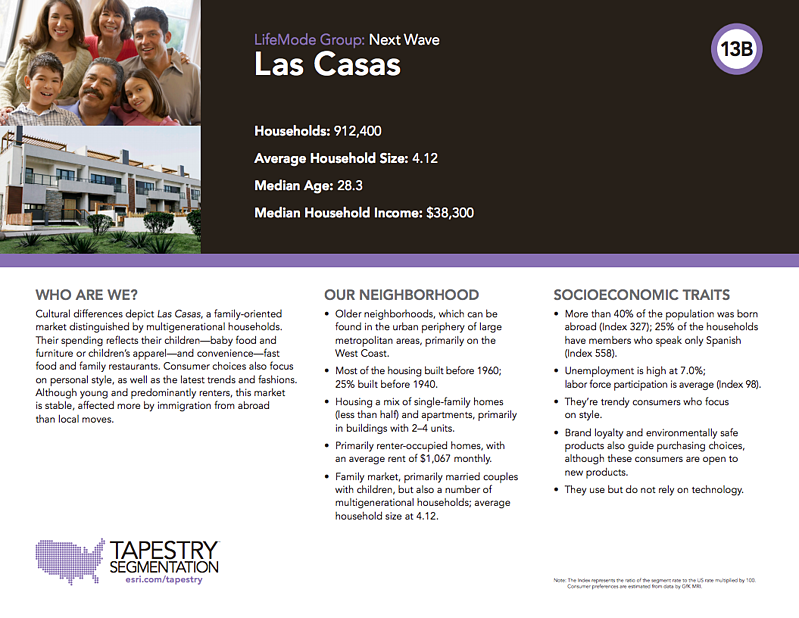 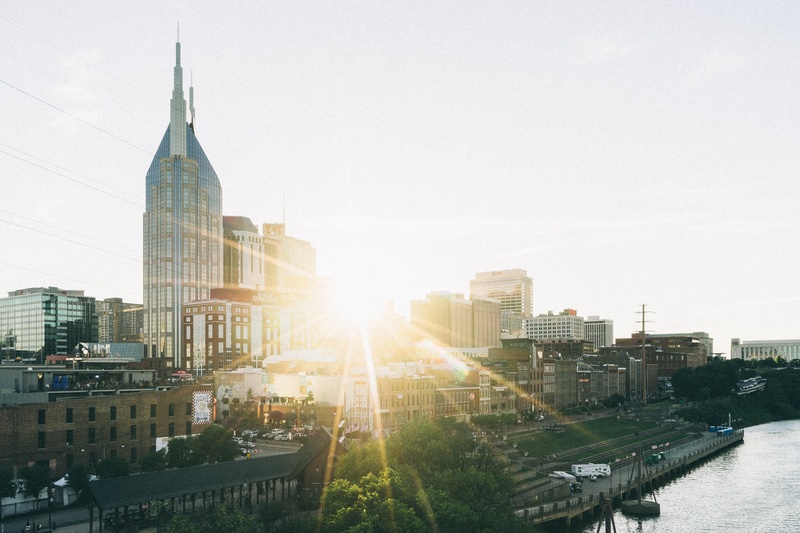 Next Waves’ households tend to be 27-33 years old, live in rentals consisting of multi-unit housing and high-density apartments, they are entirely Hispanic, have median HH incomes of $22,000-$42,000, and are virtually uneducated even to the high school diploma level.